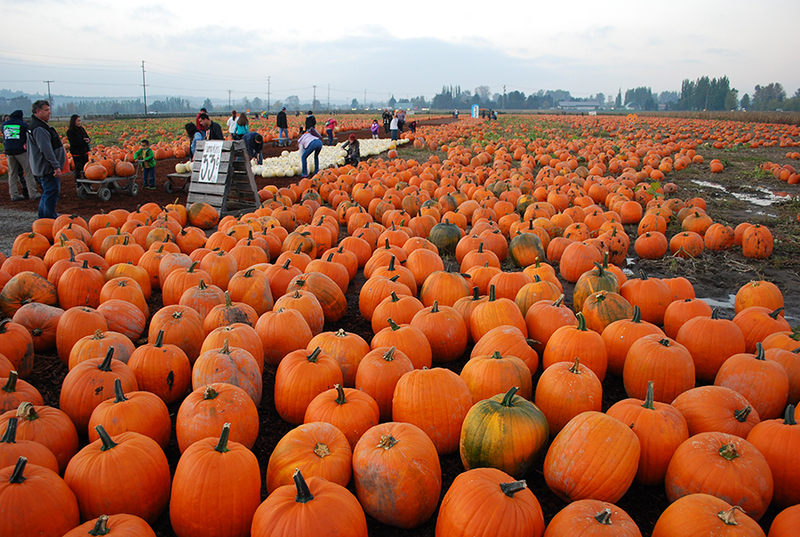 There’s nothing that screams Halloween more than a pumpkin patch. 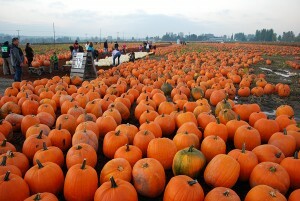 While options are limited inside Seattle, it doesn’t take long to find a great pumpkin patch outside of the city. Tove and I are holiday junkies, so we weren’t going to miss an opportunity to pick out our perfect pumpkins. After researching the best pumpkin patches in the area, we went to the Carpinito Brothers Pumpkin Patch in Kent. 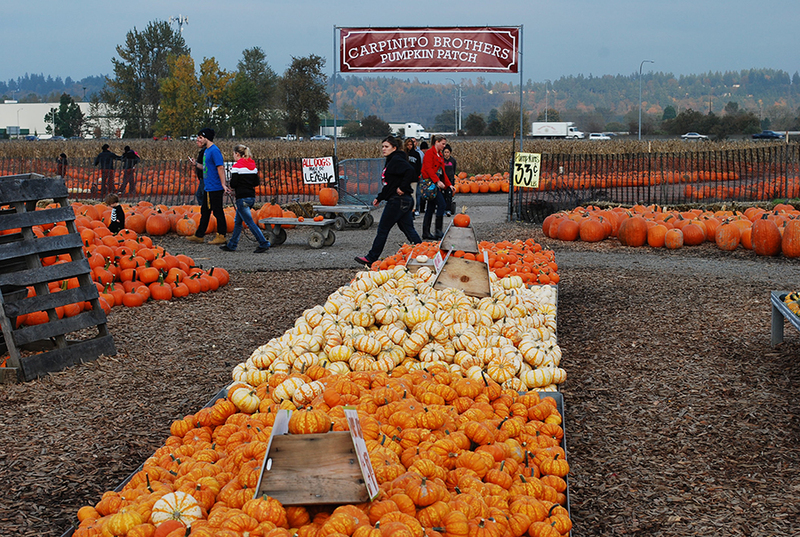 Family owned and operated for more than 50 years, the Carpinito Brothers (6868 S. 277th St. in Kent) are open year round, but their popularity skyrockets when they open their u-pick pumpkin patch and corn maze in the fall (usually at the end of September through October). They’re open from 9am to dusk every day. It seems like they’re really flexible with the “dusk” closing time though, because Tove and I wrapped up our visit when it was fully dark. On top of the u-pick pumpkin patch, the Carpinito Brothers also offer two different corn mazes with more than three miles of paths. 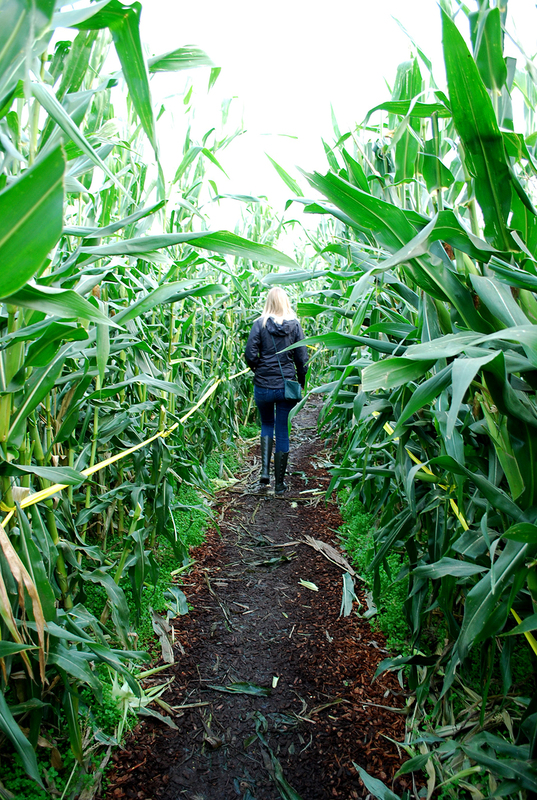 This year, there was the ‘Green Zombie Corn Maze’ and the ‘Red Zombie Corn Maze.’ Tove and I only had enough time to navigate the ‘Green Zombie Corn Maze,’ but we had a lot of fun weaving our way through the tall corn stalks. 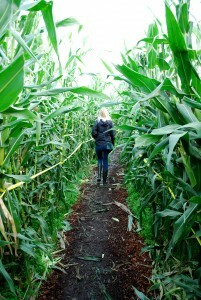 The corn mazes come at an extra cost at the Carpinito Brothers Pumpkin Patch. It’s $9 for adults (13 years or older), $6 for children (5-12 years old), while kids 4 and under are free. NOTE: The Carpinito Brothers don’t take debit or credit cards, so you need to bring cash or checks with you. They have ATMs on site if you happen to forget both. The other highlight of our trip to the Carpinito Brothers Pumpkin Patch was the roasted corn. It comes out steaming hot, still wrapped in its husk. They’ll slap butter on it for you, and then you can choose how you want to season it with a selection of spices. You can also find plenty of fresh fruits and vegetables at the Carpinito Brothers produce stand. 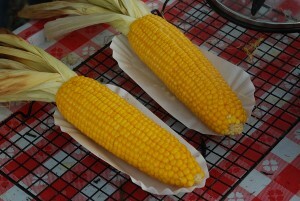 Tove and I bought corn, Granny Smith apples, and Fuji apples when we were there. The fun doesn’t stop there at Carpinito Brothers Pumpkin Patch. They also offer tractor pulled hay rides ($3), a kid friendly hay maze ($3 for kids — adults are free), and they also showcase several farm animals. You can see goats, pigs, donkeys and much more. Tove and I actually missed the animals (I’m so disappointed), because we didn’t realize they were located at the farm location next door. Keep that in mind when you’re there; you don’t want to miss them like we did. The Carpinito Brothers Pumpkin Patch has everything you need to get in the Halloween spirit. Tove and I spent a couple of hours there, and we feel like we could have stayed even longer. Thanks to an extremely friendly staff, loads of awesome autumn activities, and a convenient location off the highway in Kent, we’ll definitely be back again next year! Have you ever visited the Carpinito Brothers Pumpkin Patch in Kent? What was your favorite activity? How long did it take you to find your perfect pumpkin? We’d love to hear about your experience! Please leave a comment or connect with us on Twitter, Facebook and Google+. 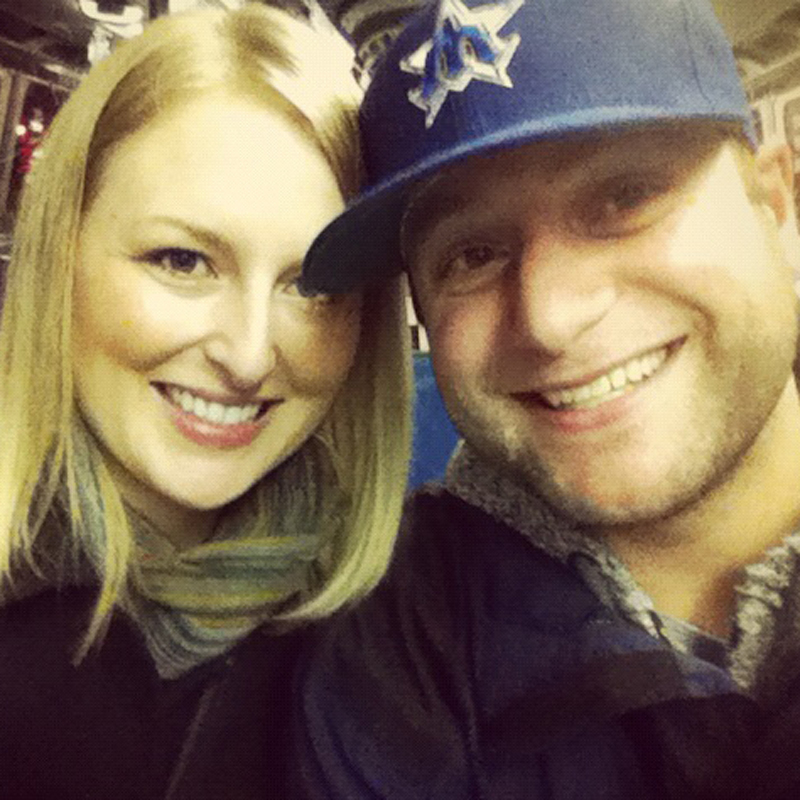 Don’t forget to also check out Seattle Bloggers for more fun Halloween adventures around the Emerald City.